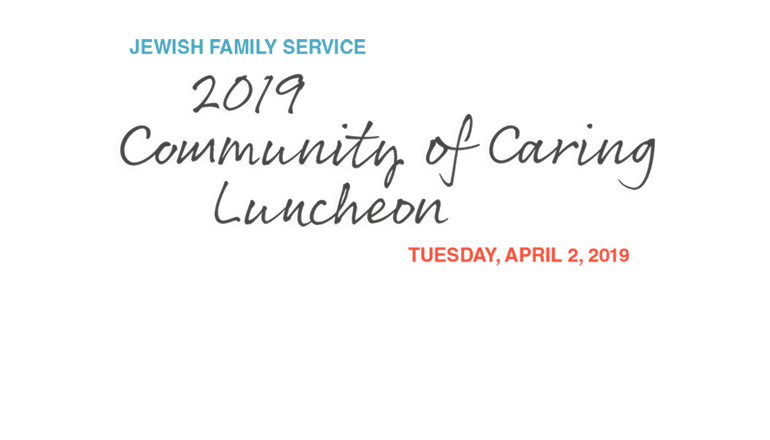 Cairncross & Hempelmann is proud to be a sponsor of this year's Community of Caring Luncheon presented by Jewish Family Service (JFS). JFS helps vulnerable individuals and families in the Puget Sound region achieve well-being, health and stability. More than half the JFS’s operating budget comes from donations and events such as this. Our contribution at the Luncheon helps to ensure that JFS will continue the lasting tradition of providing quality services and programs that help vulnerable people create better futures for themselves and their families. Since 1892, JFS has been an outstretched, helping hand in our local community. Essential services are delivered with compassion and respect to offer people in our region the tools they need to build healthier, more stable lives. The life-changing services of JFS are provided by professional staff, enhanced by dedicated volunteers and supported by our broad-base of generous community donors. Click here to learn more about the Jewish Family Service and its initiatives.